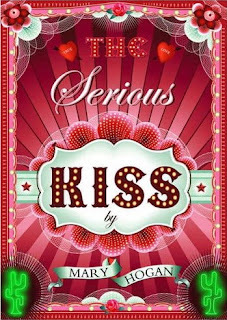 Another hysterical novel by author Mary Hogan, The Serious Kiss is a sparkling gem of a story that lets you escape for a while into the madcap world of fourteen year old Libby Madrigal. Libby Madrigal's life is falling into place. The guy she crushes on actually knows she exists, and she is getting closer to that long awaited Serious Kiss. But then, out of the blue, her parents tell her and her brothers to pack up their things, in two days, the whole family is moving to the middle of the dessert. Libby is crushed, all hopes of a Serious Kiss go out the window, she doesn't even get to say goodbye to her friends. Can Libby deal with her embarrasing mother, alcoholic father and the sweltering heat of the dessert and still get her a Serious Kiss? The first novel by Mary Hogan that I have read, I was drawn in by the cover. I love the look of it -- I think that the theme works well with the nature of the novel. I enjoyed the plot of the novel, it kept you reading throughout all the cringe-worthy moments, and kept you hungry for more. Hogan uses an easily understandable vocabulary, yet makes it interesting. This novel is sure worth the title of "Summer Read." 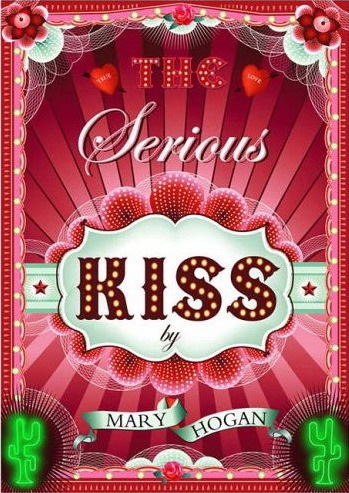 Pure and simple, The Serious Kiss is escapism fun that I would recommend for teenage girls aged 13 - 15, possibly 16.
how cringe worthy is it? because i'm the kind of person who feels bad for people who are so dumb and keep embarrasing themselves on TV. i actually change the channel. sounds like a nice read. A Wicked Giveaway Winner - Dreaminthedreamland !